Want to join Reformer group sessions? Get an introduction into the secrets of Pilates on the Reformer machines. This workshop will enable you to join our reformer group sessions without the need to do a prerequisite private class. This workshop will be taught by Patricia Duchaussoy, Pilates Master Instructor and Studio owner of the Pilates Station and The Pilates Dance Studio. The self-defense workshop for women is designed to make you more aware, prepared, and ready for any situation that may occur in your everyday life on any given day. Learn to protect yourself and boost your confidence in situations outside your control through a range of exercises and techniques derived from the ancient martial art of Aikido. Aikido is a martial art based on a nonviolent way to victory. The main purpose is to redirect the momentum of an opponent’s attack and turning it against himself. This approach allows people of a smaller body frame to defend themselves against a larger opponent or force with lesser effort. Speed up your reflexes, improve your skills and make your body work efficiently. Lower back pain is the number one reason why people see their doctor. This is where Pilates exercises can improve your recovery and decrease your occurrences of lower back pain. 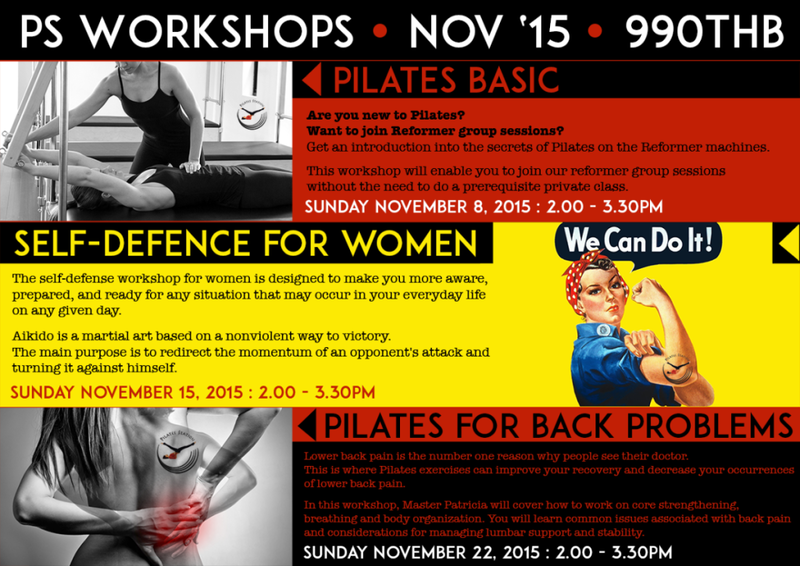 In this workshop, Master Patricia will cover how to work on core strengthening, breathing and body organization. You will learn common issues associated with lower back pain and considerations for managing lumbar support and stability. Patricia will also show you how exercise in a supportive way in order to facilitate stability of the lumbar spine by strengthening the deeper stabilizers of the lumbar spine —the transversus abdominis and multifidus.